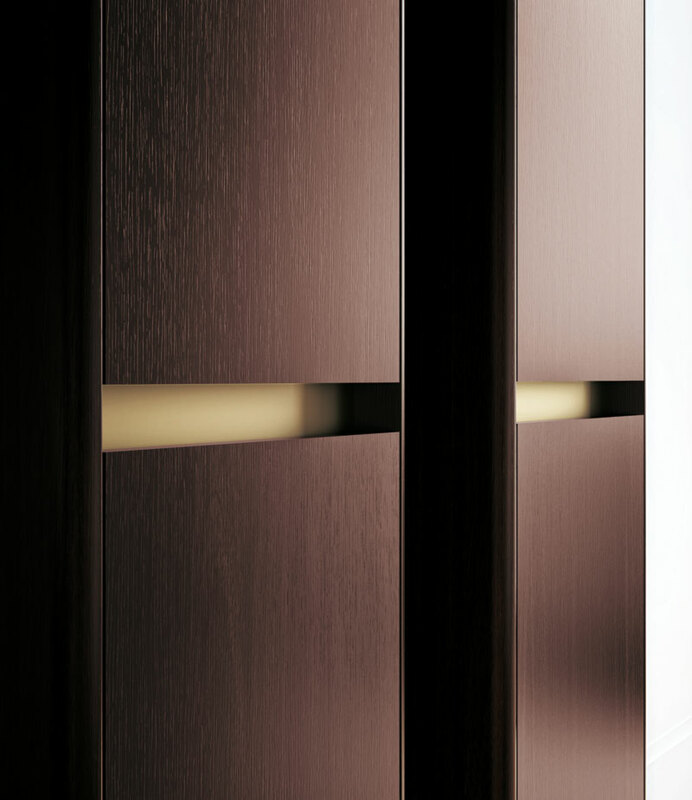 In this arrangement, the top with countertop basin is made from an innovative material that highlights the vanity’s contemporary edge, making it a cross-functional unit that will sit comfortably in a whole host of different settings. 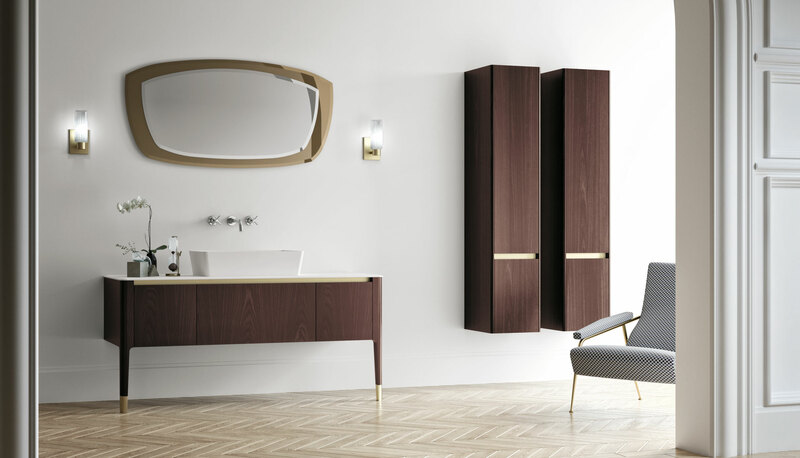 Alongside the vanity, two tall wall units are set side by side and feature the distinctive recessed grips of the groove system in a brass finish. 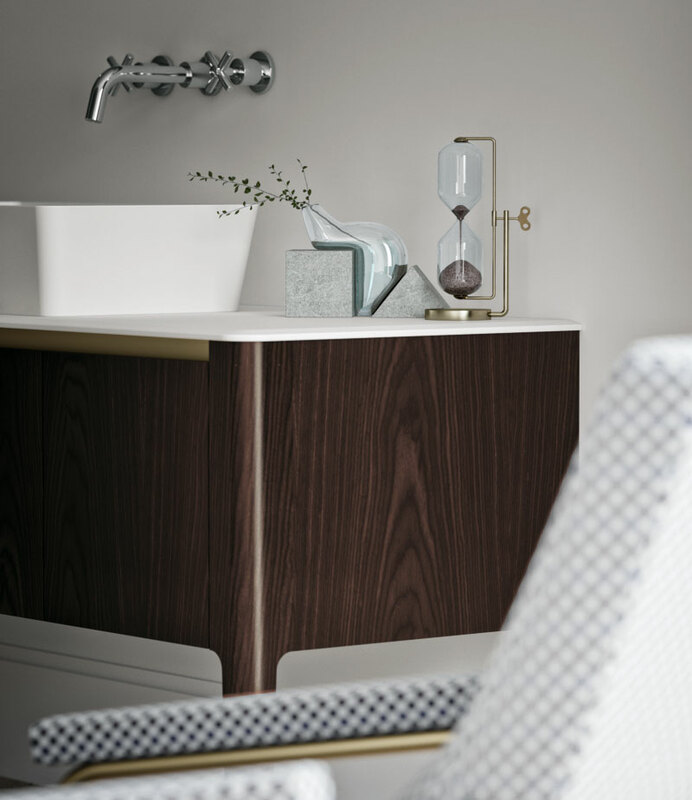 The top with countertop basin is made from Tecnoril®, a hygienic, easy-clean solid surface that is also easily buffed to repair minor scratches and scuffing.